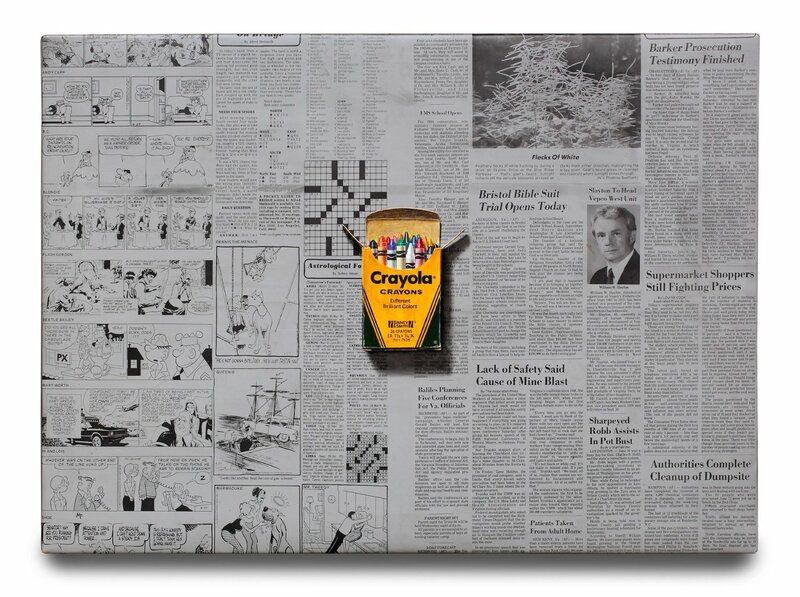 “Crayons” (2014) is an stunning photo-realist oil painting on vintage printing plate by American Latest artist Michael Fitts. This painting is one in every of his finest and largest up to now, measuring 19.5 x 27 inches, is unframed and in excellent condition. Fiitts is across the world acclaimed for his paintings of on a regular basis objects from American culture which might be nostalgic and ephemeral and places them into the realm on the revered, painting them in an unbelievable trompe l’oeil manner on the center of his canvas as if an icon or worship. His subjects include coffee cups, toys, balloons, shoes, snack foods, utensils, and other objects of the American cultural experience during the last several decades.